Alina has been working the aquatic industry for over 20 years. Her experience has crossed all areas of aquatics from babies to adults, beginners to elite, swimming to lifesaving. Alina openly shares her experience and knowledge from working in the industry that is coupled with her learning and research through her tertiary degrees in Education and Health Science to benefit the wider national and international aquatic community. Alina's mission is "To enrich the lives of all through participation and enjoyment of aquatic programs". Carla has been involved with AUSTSWIM since taking her TSW course in 2011. She is currently the manager of Hilton Brown Swim School in Palmerston North and also volunteeers with Special Olympics where she is Head Aquatics Coach for Special Olympics Manawatu. She has a passion for working with special needs swimmers and helping to nuture talent and provide opportunites for them to participate in competitive swimming. Christine is the AUSTSWIM Aqua Education Coordinator and delivers the AUSTSWIM Aqua Instructor Course across Australia and New Zealand. She plays a vital role in course resource development and in 2018 was named Queensland Presenter of the Year. Christine is a popular group fitness instructor who uses her background in Drama and Education to keep the participants in her various classes interested and on their toes! Dave Henderson, more commonly known as (Hendo) has been involved in the aquatic industry for the past 50 years. Dave is inspirational and motivational. A speaker not to be missed. As we all know, working in the aquatic industry can come with its fair share of stress at times. So it’s lucky that our keynote speaker for today, David Buttifant, specialises in reducing it. Buttifant, somewhat of a guru within the elite sport and high performance landscape, is the director of Keen Edge Pty Ltd, who aim to help people achieve personal growth. Before embarking on a successful career in the elite sport industry, which included positions with the Australian Olympic Team and the Collingwood Football Club, Buttifant was much like many others in this room, a licenced Teacher of Swimming and Water Safety with AUSTSWIM. With over 20 years of experience dealing with elite athletes, Buttifant has now shifted his focus to the corporate world, and the AUSTSWIM community resembles a unique blend of both landscapes. As teachers or presenters, Buttifant believes that developing yourself can help you develop others, so sit back, relax, and prepare to learn tools that will help you both in and out of the water. Prior to joining the DPA Harry was working as a Tutorial Assistant and gym instructor at Unitec New Zealand and has a strong background in rugby league. He has played for the Auckland Premier and NZ Universities Rugby League Teams, the Auckland Vulcans (Warriors Reserve Grade), Mt Albert Lions and professionally for Limoux in France. Harry’s background, skills and experience are invaluable with his focus on youth, Māori and Pacific communities. Karla has been involved in the aquatic industry for the past 30 years and is currently the Swim School Quality Services Manager for YMCA Auckland. Karla’s aquatic experiences include 15 years with the Hilton Brown Swim School working as a Senior Teacher and then Employment Coordinator, and 5 years for Swim Magic as their Infant and Preschool Program manager. Karla owns and runs the Little Dippers Swim School in Kerikeri. She is an Austswim Teacher and Presenter of TSW and Infant and Preschool. She was the winner of the AUSTSWIM Infant and Preschool Teacher of the Year 2016. Linda has been working in the aquatics industry for over 20 years in different roles including management at facilities and water-based fitness. She has been part of the Skills Active wider team for over 10 years working as an Learning Support Advisor, workplace trainer, and roving assessor. In her role as Learning Development Advisor - Community Recreation, she now has first-hand input into the development of qualifications and training programmes for the Aquatics industry. This role builds on her passion for workplace training and seeing people succeed. Linda is Wellington based and when not at work, she enjoys spending time with family and friends. With one granddaughter and two more grandchildren due this year, she and her husband have full weekends. 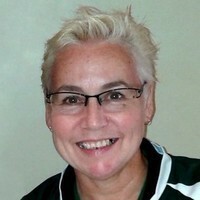 Lisa Stove is a Team Leader of SwimMagic Swim School for Community Leisure Management Ltd. She has been involved in the aquatic industry for 20+ years, including life guarding, administration and programming, event management, teaching and coaching all levels of swimming in the Nelson/Marlborough region. Lisa has a huge passion for getting as many people expending water for safety and enjoyment. Her face is well known in the Tasman region as she is out and about actively marketing water safety messages with SwimMagic’s Kori (The Little Blue Penguin). Lisa is a course presenter and assessor for AustSwim and holds several national qualifications through Skills Active, including Recreation and Sport, First Line Management, Adult Education and more recently Group Fitness. Lisa currently leads an awesome team of 25+ AustSwim trained SwimMagic teachers at the Richmond Aquatic Centre in Nelson and when she is not working she is fishing, camping, umpiring netball, playing softball or chilling at home with Steve her partner and Maddox her grandson. After several years working in successful restaurants Vaughan chose to re-train in the health and fitness industry, which has been his passion since a young age. This decision started his path toward his current role as the Facility Manager at the Award Winning Richmond Aquatic Centre. Vaughan is extremely proud of the achievements his team has attained over the years including NZRA Outstanding Pool of the Year 2016. He holds a Bachelor of Exercise Science, has been on tertiary review panels for Sport Science, and previously part of the PT Council of NZ. His day to day activities draw on experience both in the hospitality and fitness industry coupled with my “drive” to set the standard in fitness, recreation and lifestyle centres”. Vaughan lives by the ‘Think Different’ mentality and takes experiences from every individual he meet. His views on life and our industry frequently are different than what is seen as the “norm” to which he believes is what often sets us part from the competition. 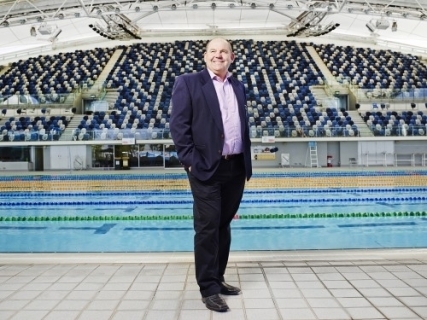 Mark has worked consistently with swimming schools for the last 35 years helping them succeed. His broad ranging career includes several years as a Swim School teacher with the Tasmanian Education Department, owning his own aquatic and leisure centre, several years as Manager at West Wave Aquatic Centre and now General Manager of Belgravia Leisure New Zealand. In addition to being Special Olympics New Zealand's Manager - Sports Operations, Mike also holds a number of international voluntary roles with both Special Olympics Asia-Pacific and Special Olympics International. These roles include Regional and Global Trainer, Technical Delegate for bocce, Chairperson of the Special Olympics International Bocce Sports Resource Team and also a recent appointment to the Special Olympics International Sports Rules Advisory Council. Mike is a big supporter of Special Olympics and has been involved at a local level with the Manawatu club for 32 years; right through to volunteering at an international level having attended eight Special Olympics World Games. 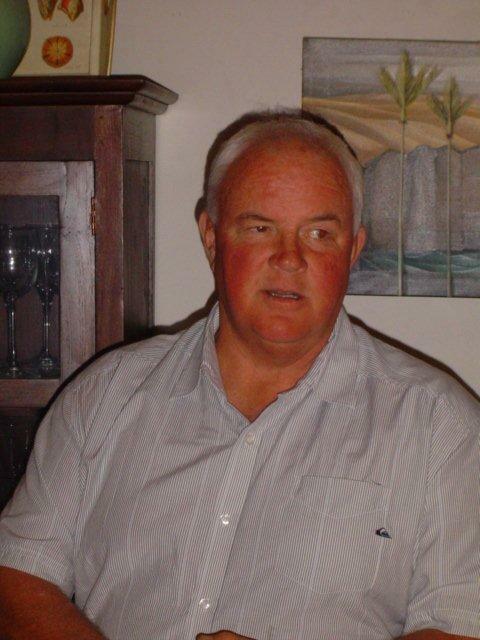 Born and raised in Palmerston North Mike has never left the Manawatu region and has been married to Lyn for 42 years, they have four children (three of whom are Special Olympics athletes) and six grandchildren, needless to say he is kept fairly busy with his family life! 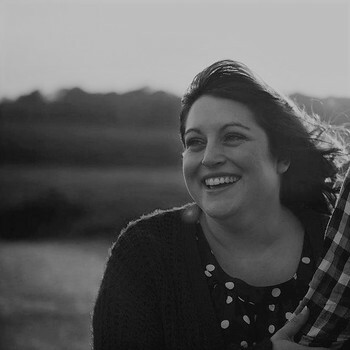 Sarah has been working in Marketing and Communications for over fifteen years, specialising in the non-profit sector. Sarah's role at NZRA includes social media, press releases, the NZRA website and all other communications. Sheridan leads the organisation’s education programmes, specifically with the operationalisation of Water Skills For Life to reach all kids in years 1 – 8 at school. In addition, she develops community based social marketing campaigns to improve Kiwis attitudes and behaviours around water safety. 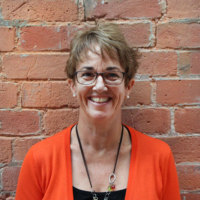 A marketing professional whose career has spanned working across the charity, small business and corporate sectors, Sheridan also has extensive experience in fundraising strategy, planning and implementation of campaigns and projects. A former Physical Education specialist from Keele University, Simon was a Social Science Research Council Scholar, and studied at North London University where he obtained a Post Graduate Diploma in Recreation Management. In addition to this, he is also a Fellow of the Australian Institute of Company Directors, and Fellow of the Advanced Management Program, Harvard University AMP179. Simon has managed facilities in both the United Kingdom and Australia. He also lectured for three (3) years at Deakin University (Burwood Campus - Melbourne) in the Sports Management Graduate and Undergraduate courses. He was formerly the Chief Executive Officer of the State Sport Centres Trust comprising the Melbourne Sports and Aquatic Centre (MSAC) and Melbourne Institute of Training (MIT in Albert Park, Lakeside Stadium as well as the State Netball Hockey Centre (SNHC) at Royal Park. He is currently the Managing Director for Worldwide Sports Management which is a boutique management company specialising in people, infrastructure, and technology. Samsonite, YMCA Victoria, City of Casey, City of Cleveland, Quay Clean, City of Glen Eira, and Christchurch City Council, South Australian Aquatic Centre. He currently mentors a number of mentees on leadership and self-development. 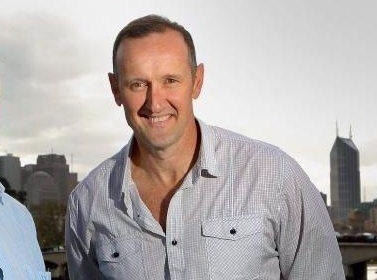 In addition to his extensive management experience, Simon has had the opportunity to develop three (3) major ‘Greenfield site’ sporting facilities in Melbourne. These include the Ashburton Pool and Recreation Centre project valued at $10M, the MSAC project valued at $65M, the SNHC project valued at $27M and the MSAC Redevelopment valued at $56M, and the establishment of the Melbourne School of Sport and Recreation Management.